Launched in May 2013, the Lenovo S820 is a powerful and efficient smartphone, equipped with a Quad-Core 1.2 GHz processor. Operating on the JellyBean OS from Android, this is one of the most appreciate models released by the brand, as customer reviews prove it. If you are the happy owner of this device, you might have noticed a few slow app, error messages or similar software issues. 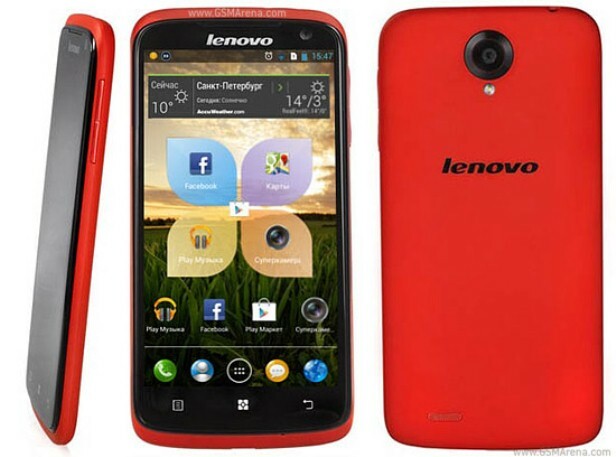 In this situation, we recommend to perform a hard reset on the Lenovo S820. Today’s article is going to be focused on the master reset procedure, showing you how to get rid on the current problems you’re dealing with. It is reknown as a very quick procedure that makes your phone work just as a brand new one. In order for this to be possible, the process is going to restore your Lenovo S820 to factory settings and erase all data stored on it. Equipped with an LCD 4.7 inches touchscreen, this phone has a total storage capacity of 4 GB and uses a Li-Po 2000 mAh battery. Thanks to its latter feature, users can take advantage of up to 22 hours talk-time and 140 hours stand-by in 2G. Also coming with a 3G network, this Lenovo device is equipped with a Wi-Fi 802 hotspot and comes has included apps: Youtube, Google Talk, Gmail, etc. Very good for taking photos and videos, it has a 12 MP camera in the front, as well as a 2 MP one in the back. Before moving any further, we’d like to remind you that the factory reset is going to remove all data stored on the memory of your phone, which is why it’s best to create a backup. This can be easily done by using the Phone Copy app that works on most Android devices. If you’re looking for alternatives to this option, you can also store the data on a cloud, use the micro SD card to save it or simply transfer everything on to a computer. Since this smartphone has a removable battery, you can first give soft reset a chance – turn the phone off, remove and replace the battery into its slot gently after a minute or two. This will unfreeze most apps and make the software load faster. In case you’re having much more severe problems, you might want to continue reading. Fully charge the device and turn it off before getting started. Press and hold the Volume Up (2) and Power (1) buttons until a warning pops up. Read the information on the screen and choose Wipe Data using the Volume keys. Once you’ve selected the option, press the Power button to choose. Follow any additional on-screen instructions and wait for the reboot to be over.